So yeah, I usually have very clear lists of games I want to play, study and review. I take my gaming agenda really seriously. But sometimes, you just can't anticipate what you'll find in the world of gaming (that's what's so exciting about it!). The game is called "Yourletters". The beautifully crafted instructional video describes the game as a strategic word game which sounds pretty interesting in itself. I played my first couple of games and found it to me quite engaging. The goal of the game is to occupy one of your opponent's spaces with your color, which is a more difficult task than it seems. This is not about finding the longest words, it's about writing words with the right letters in the right places. As you advance on the board you'll be able to use bigger and better distributed words. 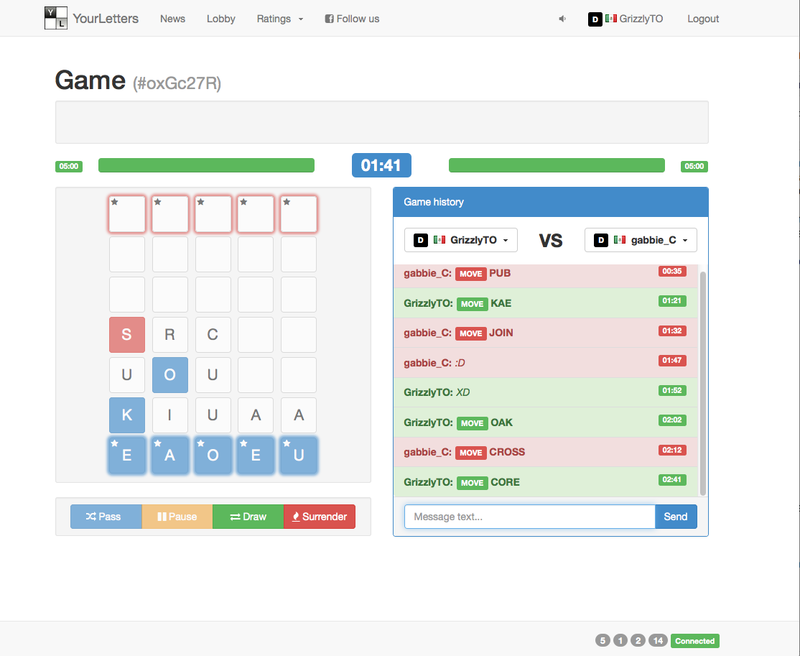 Yourletters is currently in development and looking for active players to experience the BETA and support this unique game. P.S. : Thanks to my first opponent and awesome friend, gabbie_C, for playing this insane game and supporting.